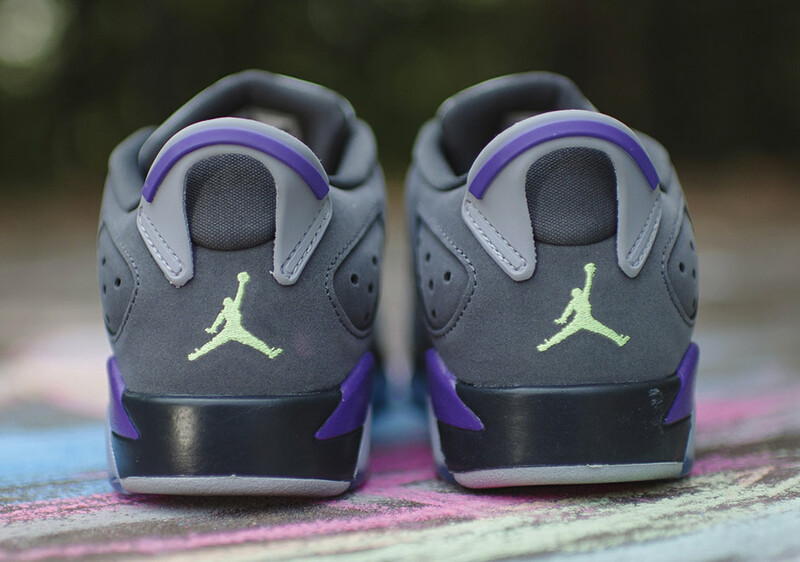 The kiddies are getting a lot of treats from Jordan Brand this year, with a number of exclusive colorways just for the Air Jordan fans with small feet. 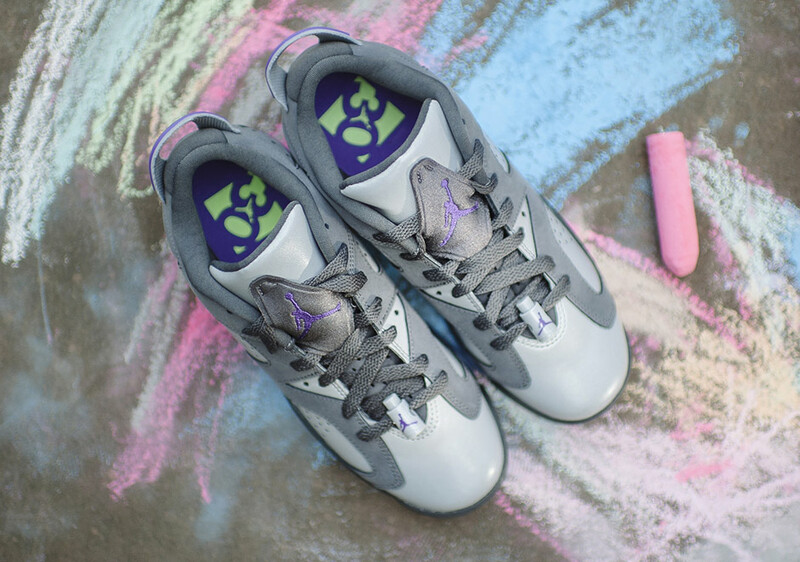 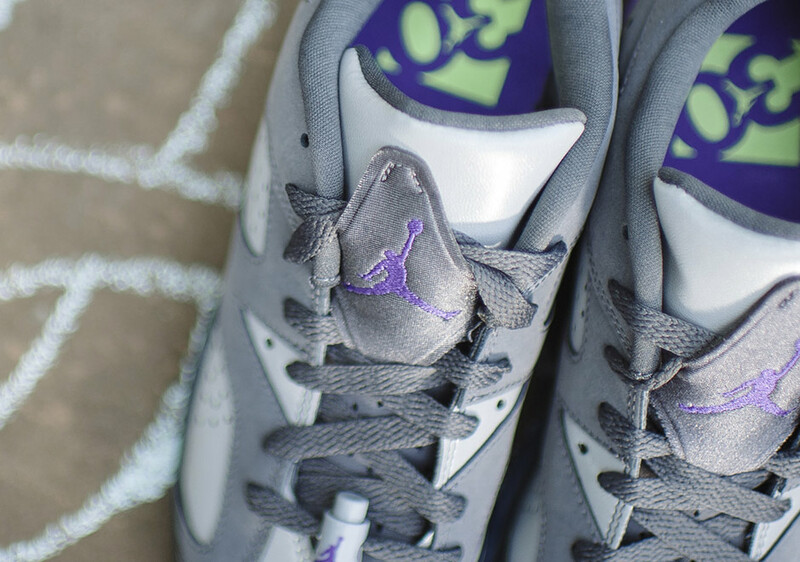 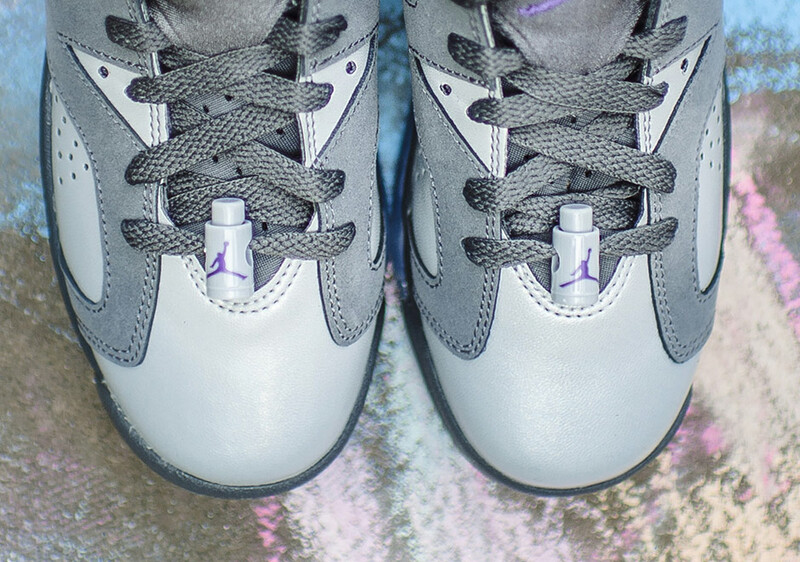 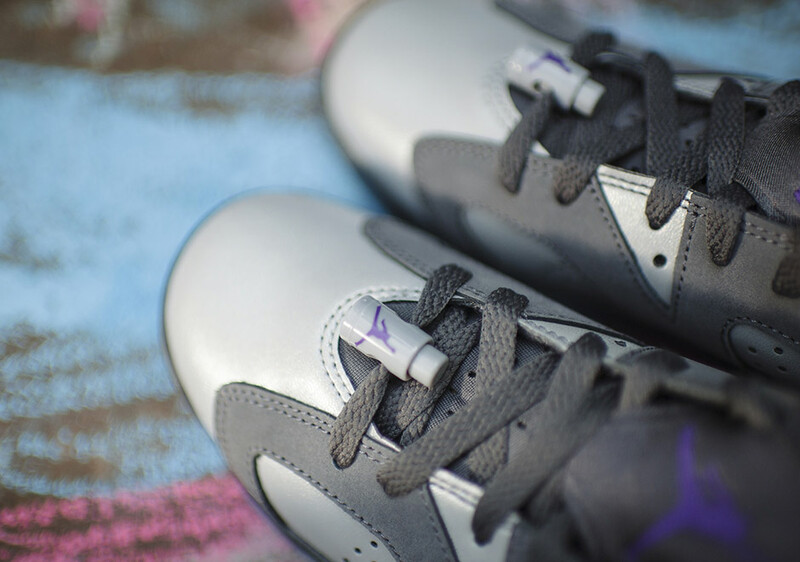 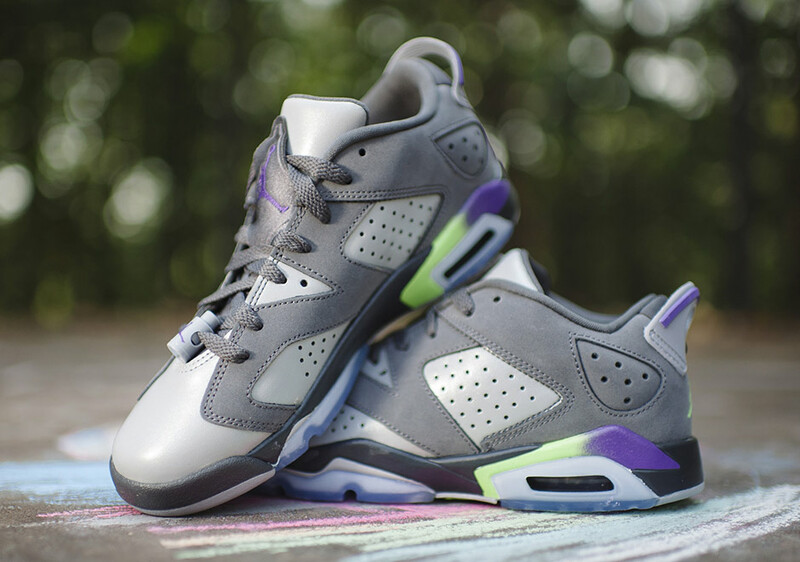 Up next is this Air Jordan 6 Low that even more exclusively made for girls, featuring a feminine take on the silhouette with a two-tone grey upper accented with violet hits on the upper and green-to-violet fade on the midsole detailing. 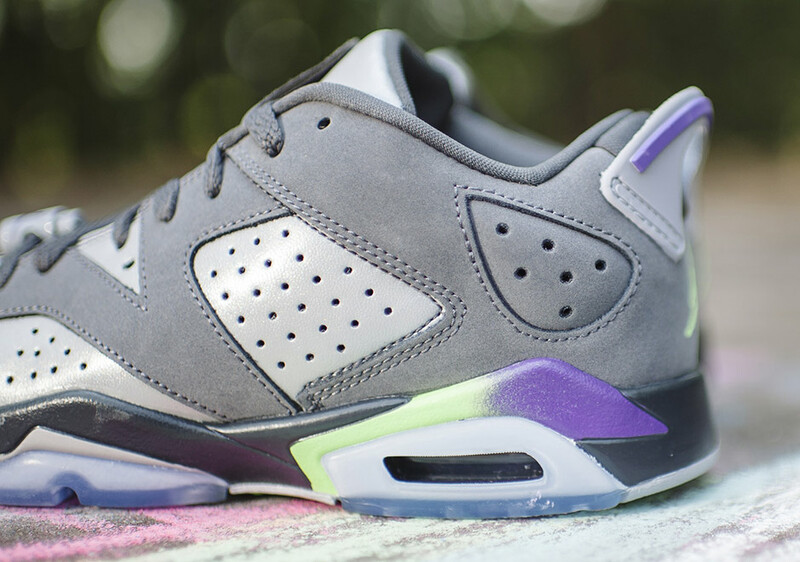 Like any good Air Jordan 6, it’s completed with an icy clear outsole. 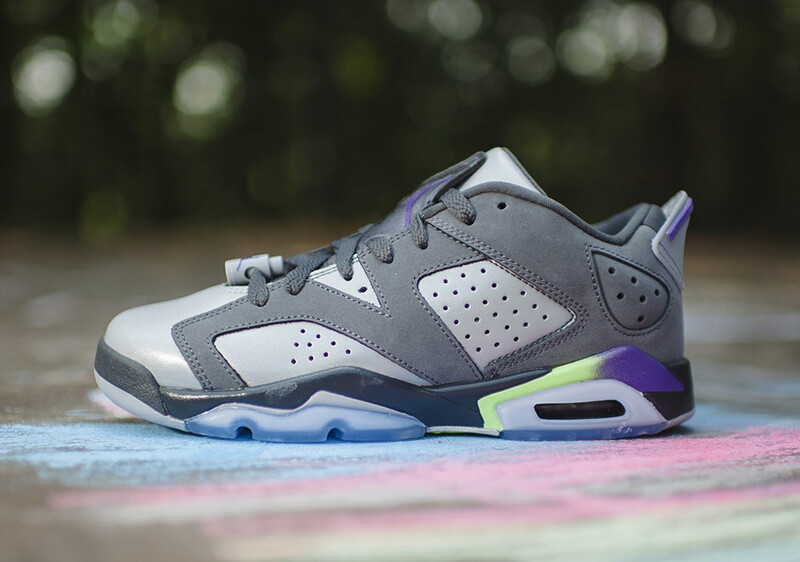 The Air Jordan 6 Retro Low GG is arriving at Jordan Brand retailers like Rock City Kicks now for its launch next Saturday, September 5th.